Tom Brady. Harry Kane. It may seem odd to be talking about two completely different kinds of ‘football’ players. 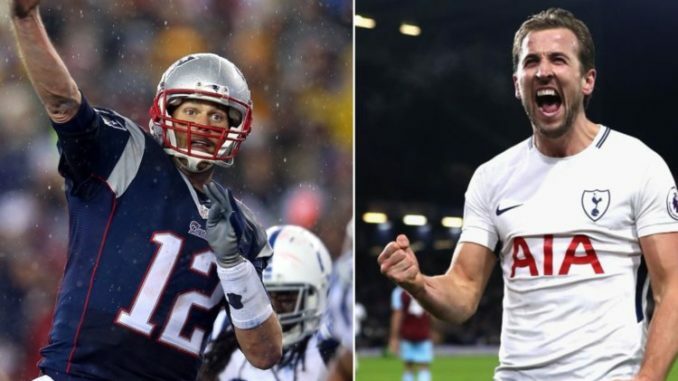 However, with the 53rd Superbowl, this is a topical article which explores how Tottenham Hotspur’s Harry Kane was directly inspired by New England Patriots’ Tom Brady. And, how Kane has a little work to do yet before reaching the same status as his idol. The two players essentially follow a rags to riches tale. Brady was picked as the 199th player in the 2000 draft. Essentially, this means that he was one the very last players to be picked for the Patriots. However, when he finally did meet the team owner Robert Kraft, he exuded a then precocious confidence. And, indeed, Brady has since affirmed this with five Super Bowl wins and an astounding reel of accolades. Kane’s story follows a similar trajectory. He seemed to be another Spurs youth graduate destined for constant loans before getting flogged off. Indeed, he was a meme, a mere joke bandied about. But he finally made his first Premier League start versus Sunderland in 2014, grabbing a goal. In the 2013/4 season he made a further nine appearances including five more starts. Then, from the 2014/15 season he has since cemented his place as Spurs’ first team striker. He has scored at least 20 goals a season since then. However, where Kane’s story differs is that, unlike Brady, he has no major titles to his name. The Golden Boot in the 2018 World Cup is barely enough to recognise all the work he has put in. Harry Kane has professed his admiration of Brady previously. “’The Brady Six’ shows how he was underestimated, when he went late in the draft. But he worked hard and believed in himself and that is what I have tried to take in my career. Maybe when I was younger people didn’t always believe in me, they didn’t think I would make it to where I am now. It is about that self-belief, that self-drive, that has got me to where I am now.” Indeed, Kane’s drive and determination, on and off the pitch is phenomenal. Recently, Kane released a video of his preparations towards recovery. Due back in March, these are promising signs. But Kane staunchly believes “no-one will be working harder to get back fit.” It is this attitude that allows him to operate at the top levels of the game. The Super Bowl LIII is yet another chance for Brady to add to his mountain of trophies. He developed from a weedy young man to a champion of the American Football game. Kane takes his inspiration from Brady, but he is yet to realise the kind of success in his idol. Spurs are knocked out of both domestic cups, but remain in the Champions League, whilst pursuing a large gap that Liverpool continually widen at the top of the table. For now, Kane will be looking to get fit as soon as possible, before he can go on to achieve his dreams.